“Fuller House” returns for a second season on Friday, and to celebrate the big day, the cast is getting into the holiday spirit. The folks behind the Netflix update on the popular ‘90s sitcom -- which returned to online enthusiasm but critical drubbing in February -- posted a yuletide greeting from the cast to the show’s Facebook page Thursday in advance of the the season two unveiling. The new season will see more misadventures from D.J. 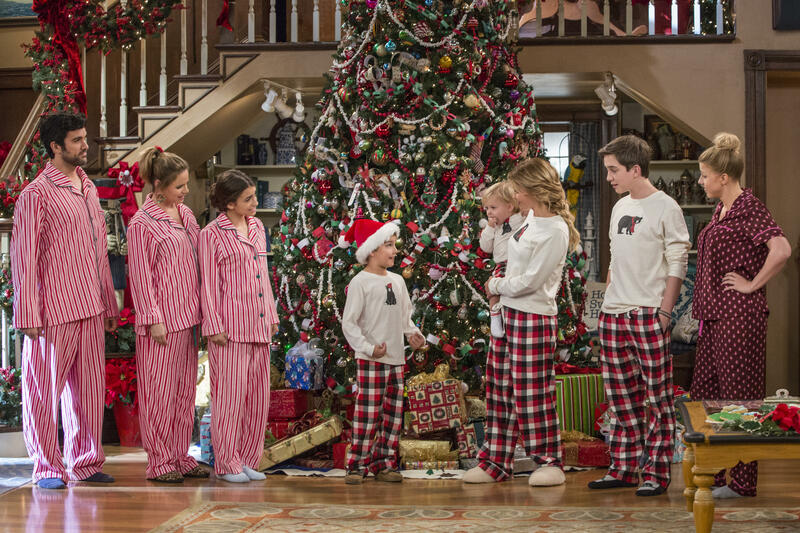 Tanner-Fuller (Candace Cameron Bure) as she raises three sons in the house where she grew up, with help from her sister Stephanie (Jodie Sweetin) and best pal Kimmy Gibbler (Andrea Barber). Creator and executive producer Jeff Franklin has promised an even more complicated love triangle for D.J., more time with the dad and uncles from the original series -- played by Bob Saget, John Stamos and Dave Coulier -- and an appearance by the guys in New Kids on the Block. All episodes of season two of “Fuller House” will be available to stream on Netflix starting Friday.